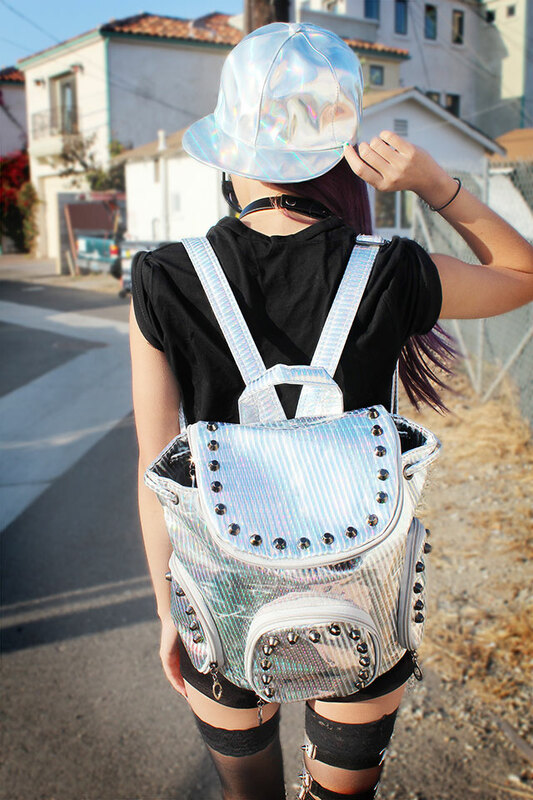 So I've noticed a trend creeping in recently and that is holographic stuff. There's at least one item in every high street store, mostly shoes and bags. But it's also starting to creep in as embellishments on t shirts and hats too. 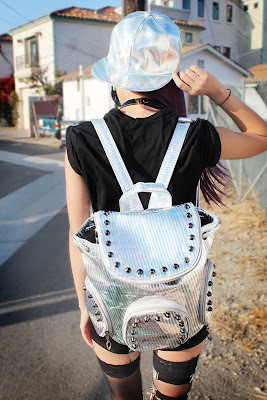 I'm starting to fall in love with it so I thought I'd share some wishlists (so you can get your own holographic items) and some outfit inspiration so you can incorporate it into your everyday look. 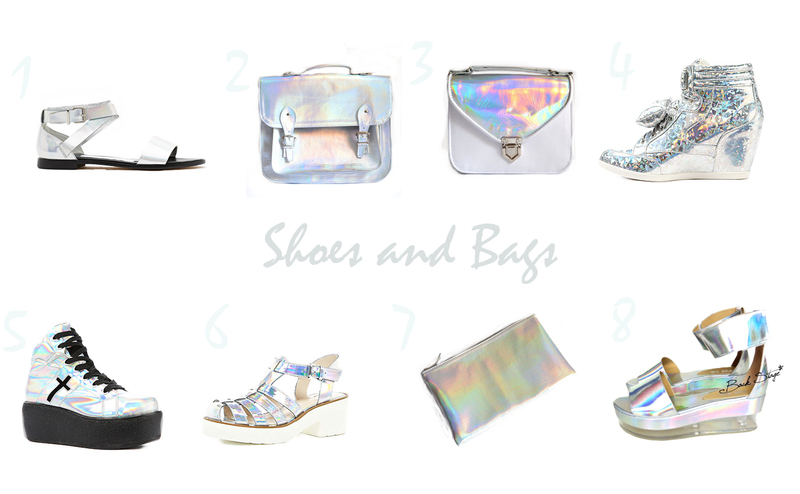 So Shoes and bags are the main think with a holographic twist on them, and I'm in love with all of these, it has to be said. It's always a good way to incorporate something like this without going too over the top, add some matching nail varnish and you're good to go. Accessories are also a good add on, with your shoes it an extra sparkle. This is a bit messy, sorry I didn't realise how light the text was. 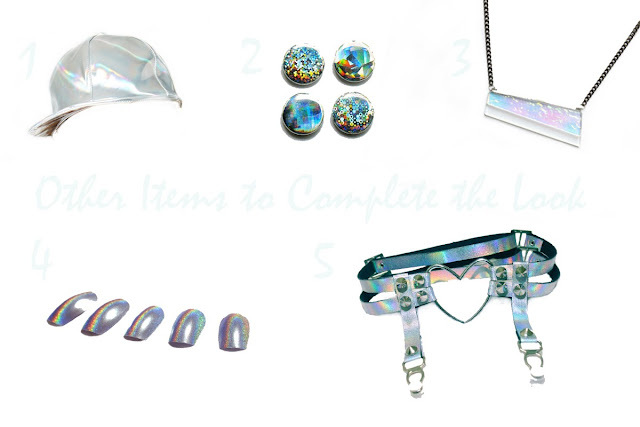 And of course here's some inspiration and ideas on how you could wear these holographic items. Thanks for reading, I should be up with another outfit post for tomorrow so stay tuned for that. Thank you for following me~! You should get them! Karma Loop often have sales so get them when the price is down ;D they also have a galaxy version which I think I prefer.